We are amongst the leading names in the industry, offering a comprehensive range of AC Motor Drives that are durable in nature and are performance based. We source the entire raw components from certified vendors in the industry. They are easy to install and requires minimum maintenance. With the assistance of experiences, we are able to deliver world-class range of products. Optional LCD keypad of Master drive enables to access every drive (Slave) connected via inbuilt RS485 communication so that the users adjust and monitor parameters easily. User sequence creates a simple sequence from a combination of different function blocks with direct access to Drive parameters. The sequence can comprise of a maximum of 18 steps using 28 functions blocks. 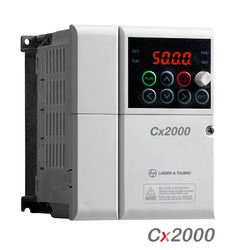 Sx2000 monitors both main capacitor’s lifecycle and Fan. When the life span of Fan is near, Sx2000 outputs via Relay or Digital output as a alarm sign. 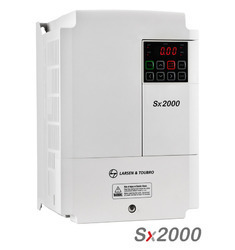 It allows users to download & upload the parameters from/to Sx2000 without AC input power. Sx2000 allows its heatsink to be installed outside of panel for better cooling system with this option. Compact, lightweight, easy to install, operate and service – the Cx2000 is perfectly suited for conveyors, pumps, fans and textile machinery. It handles loads up to 11 kW, and is engineered to keep your machine operating at optimum efficiency, even in the hot, humid and dusty conditions that characterise India's industrial environment. Tool-less replacement of Cooling Fan. Built-in brake chopper which saves panel space. Looking for AC MOTOR DRIVES ?